Crystal Lake, Illinois is situated in southeastern McHenry County, about 45 miles northwest of Chicago. The population of Crystal Lake is approximately 41,000, making it the largest city in the county. Many Crystal Lake residents find the ease of the commute to Chicago (by Metra train) allows them to enjoy the easygoing charm of its residential lakefront neighborhoods, yet be within reach of the bustle and action of the big city when needed! The home buyer that invests in real estate in Crystal Lake will enjoy endless recreational opportunities. At the same time, residents are within easy reach of the many amenities that Chicago offers. There is a wide selection of Crystal Lake real estate, from meticulously restored Victorian homes to modern, luxurious estate homes. There are also properties with lake frontage. Crystal Lake homes that can serve as starter homes for young families are located right in town. Families looking at newer subdivisions will find a number of large three to six bedroom residences, each with 3,000 to 6,000 sq-ft or more of living space. In 1836, the Crandall family arrived via a covered wagon from New York State. The Crandalls arrived in the area with six children and then had four more once they settled in what is today Crystal Lake. One area of Crystal Lake was originally known as Nunda, named for an area in New York State where many of the early settlers came from. In the 1860s, an early member of the Chicago Board of Trade, Charles Dole, built a three-story mansion on a thousand acres overlooking Crystal Lake. He entertained guests at his grand estate for over three decades. In 1883, on the occasion of his daughter's wedding, he built a railroad spur line right to his property. He then added a 750-ft canopied walkway that allowed arriving guests to journey from the train to the mansion without ever experiencing the elements. The Crystal Lake Park District maintains the parklands and waterfront areas. 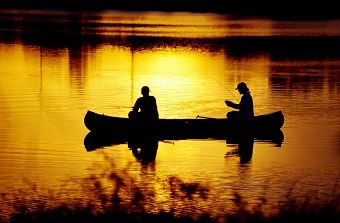 The Three Oaks Recreation Area has great fishing and water activities, as well as hiking trails and a playground. Main Beach and West Beach on the Lake are available to residents for a nominal one dollar daily fee. Beach passes are good for the entire season are available as well. The Raue Centre for Music and Arts is a beautifully renovated venue that hosts theatrical, musical, and comedic performances on a year-round basis. Opened in 1929 as "El Tovar," it initially showed the new "talkies" and hosted vaudeville acts. It was fully renovated and re-opened in 2001. The Architectural Bike Tour is held in September. It disembarks from the Colonel Palmer House and takes participants on a tour of historic parts of downtown Crystal Lake. The seven-mile round-trip includes tour guides that will discuss the historic buildings and the people who owned them. Area residents benefit from the very active Crystal Lake Park District. Throughout the year it offers free programs like Concerts in the park, Movies in the Park, Blast on the Beach, Ladies Night At Park Place, North Pole Calling, Letters from Santa, and Summer Sundays at the Colonel Palmer house. As always, the action in Chicago is worth a trip on the Metra train. Crystal Lake- A Thoroughly Charming Chicago Suburb. When one is looking at Crystal Lake homes, the choices are many. It can be ideal to enlist the services of an expert realtor with good solid local knowledge. When you start to look in Crystal Lake, please get in touch with Ryan and Company Realtors. We're experienced pros, and we know McHenry County. Call us today, 847-526-0300. We can help sort through your many homes for sale in Crystal Lake. Click here for more information on the beautiful areas in Crystal Lake. 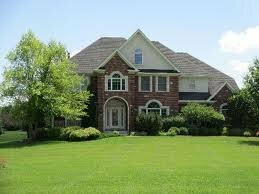 For more information on homes for sale in Crystal Lake, fill out the form below.